!! !RARE 2006 MERCEDES-BENZ S 65 AMG, V12 TWIN TURBO, 650HP, 750TQ, VERY FAST, 4 DR SEDAN, FULLY LOADED WITH ALL THE FACTORY OPTIONS, NAVIGATION, BLUETOOTH, PREMIUM SOUND, MOONROOF, HEATED VENTILATED MASSAGING RECLININGSEATS, KEYLESS PUSH START, SOFT CLOSE DOORS KEYLESS ENTRY, POWER TRUNK, PRIVACY SHADES, CLEAN CARFAX WITH MANY SERVICE RECORDS, CURRENT EMISSIONS, CLEAN TITLE, NO HAGGLE CASH SALE PRICE.!!!! 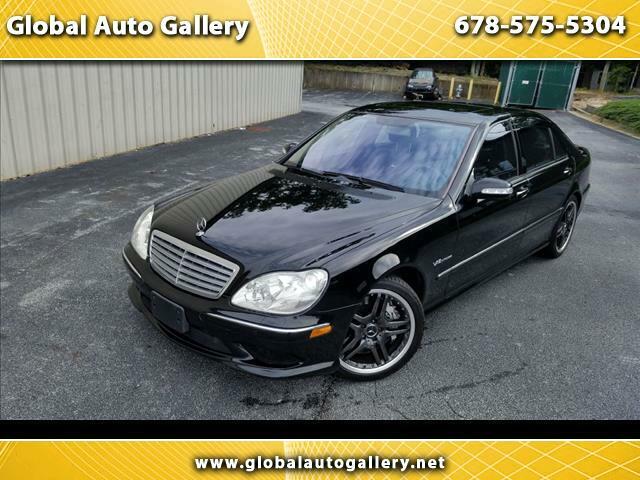 Available at Global Auto Gallery is this very rare, and amazing automobile, the 2006 Mercedes Benz S65 Super Saloon in very sought after Black on Black combo. A super sedan that will still outrun most of the cars on road today, and very much capable of reaching the max velocity on speedometer. This S65 has been serviced regularly by Mercedes Benz its whole life, and it reflects the current condition it is in. The engine is smooth, make all right sounds, no leaks, no funny noises, and is strong. Transmission shift perfectly through all gears. Tires have plenty of life left on them. Exterior is very clean. Paint show below average wear, no major dents, ding or scratches. Interior is in excellent shape, all the features work on it as they should. Rear seats are ventilated and reclining. Vehicle has no issues what so ever, and is absolute blast to drive. Price to sell, thousands below competitors and market value. !! !PLEASE CALL AHEAD OF TIME TO SCHEDULE A TIME TO SEE THE VEHICLE. ALL MAJOR CREDIT CARDS ACCEPTED. TRADE IN'S WELCOME!! !